Strawweight champion Rose Namajunas already proved her haters wrong after dethroning Joanna Jedrzejczyk in a rematch at UFC 223 via decision. A defeat Joanna vehemently protests in the media as ‘JJ’ believes that she got an easy win in the second fight. Joanna still talking and acting like that she’s the best, despite being coming off consecutive losses to Namajunas. Rose feels all that starting to sounds so stupid and ridiculous that Joanna needs to learn to accept the reality and move on. Namajunas said she isn’t interested in a trilogy with Jedrzejczyk at the moment until she gets a few more wins under her belt, or if Jedrzejczyk publicly admitted who the real champion is, ‘Thug Rose’ said then she would agree to a third bout with her. Since that’s unlikely as Joanna hesitant to accept Rose the best, instead of labeling herself the best. Joanna got back onto the winning column by defeating Tecia Torres at UFC on FOX 30 on (July 28, 2018), her request for the third bout seems hard, as Namajunas eyes the winner of Jessica Andrade vs. Karolina Kowalkiewicz at UFC 228.
Who do you think is the best Strawweight champion, Namajunas or Jedrzejczyk? 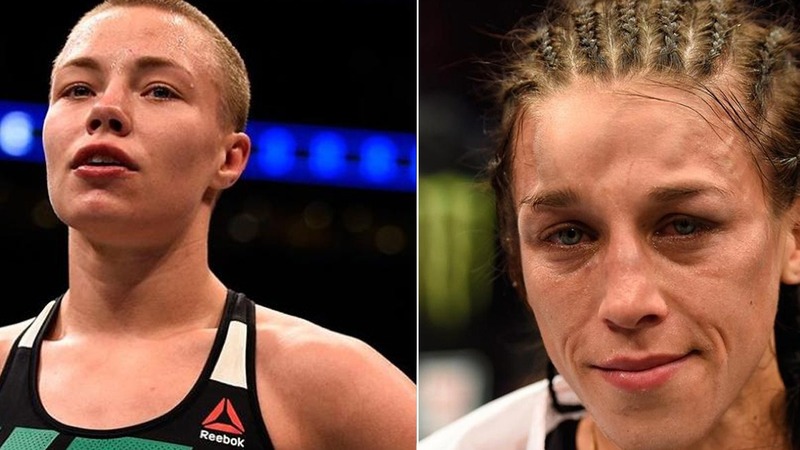 Breaking News: Rose Namajunas Vs Jessica Andrade Slated For UFC 237!